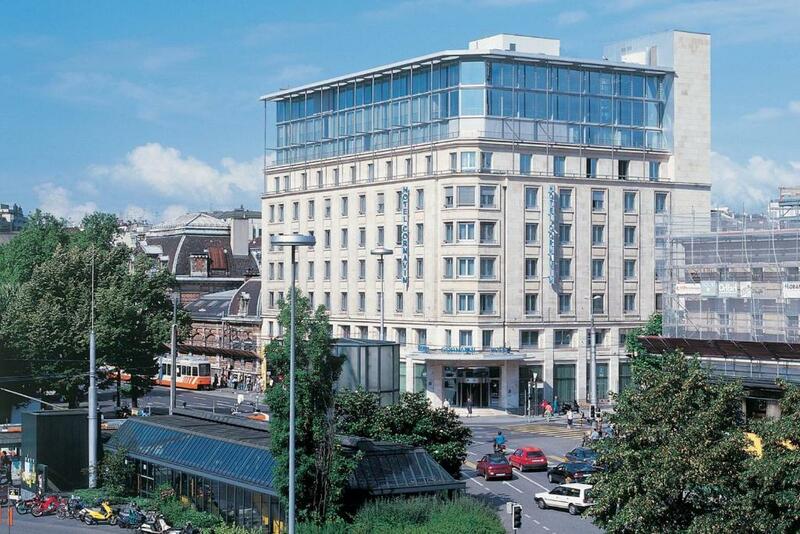 Lock in a great price for Hotel Cornavin Geneve – rated 8.2 by recent guests! starting from reception they was great for answering my questions with smile. the hotel is fine for one otlr two nights stay at maximum. great location next of the station and many restaurants are near for few steps. Excellent location, nice view from top floors, good condition of the room in general. Excellent location, clean, very nice and helpful personnel. Everything was perfect. The location and breakfast and cleanness. I loved this hotel for the proximity to the train station. I stayed here the last two nights of my trip to Switzerland, and had never been to Geneva prior to this trip. Beautiful venue, food easy to access, and the staff were very responsive to the requests. Could juice range was good. Bread range and cold cheese range was good. The location was excellent as it was close to the train station and underground mall. The room was clean and modern. We liked the heater in the room that we could hang our clothes to dry after they were hand washed. The breakfast was great and had a nice view of Gevena. Very nice and helpfull staff. Big size room, bed & comfy blanket & very clean. Nice location, easy access for all transportation. Price was fit for end year holiday. I ‘ll cone again. Hotel Cornavin Geneve This rating is a reflection of how the property compares to the industry standard when it comes to price, facilities and services available. It's based on a self-evaluation by the property. Use this rating to help choose your stay! Directly across from Cornavin Train Station, this modern 4-star hotel features a unique architectural design with glass elevators and walls. Facilities include a sauna, a fitness room, and a 24-hour front desk. A special feature of Hotel Cornavin Geneve is the world’s largest pendulum. At 100 feet long, it hangs from the ninth floor and swings right down to the ground floor in the lobby. The breakfast room on the 8th floor provides panoramic views of Geneva. There is a small bar near the front desk, and room service is available. The Cornavin’s bright and elegantly furnished rooms are all air-conditioned. Each unit features satellite TV, a minibar, and a bathroom with hairdryer. 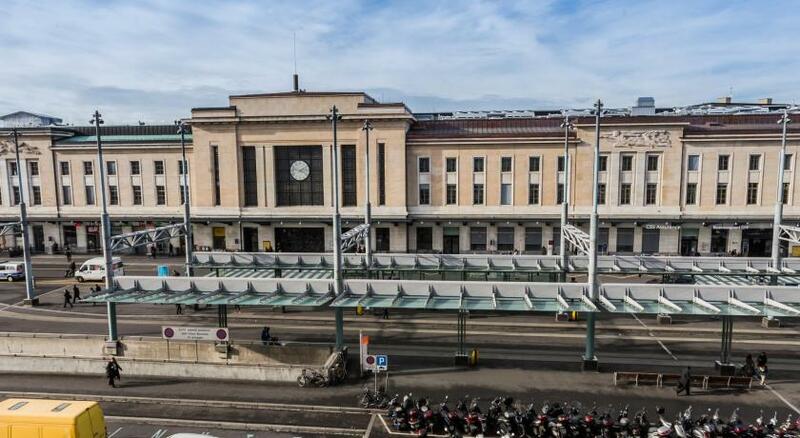 Upon arrival, guests receive a card for all public transportation in Geneva free of charge. Public parking spaces are 150 feet away. The center of the city and Lake Geneva can be reached in a 10 minute walk. When would you like to stay at Hotel Cornavin Geneve? These rooms are air-conditioned. They have a private bathroom and satellite TV. House Rules Hotel Cornavin Geneve takes special requests – add in the next step! All children from 2 to 12 year are charged CHF 30 per person per night for extra beds. Hotel Cornavin Geneve accepts these cards and reserves the right to temporarily hold an amount prior to arrival. Please note that credit cards from third parties are not accepted. Please note that the hotel is not wheelchair accessible. Maid left our room open and unlocked for pretty much the entire day. Unacceptable. We returned around 10 PM to find an open door. Luckily, all of our stuff was there, but this could have turned out poorly. Great the free bus pass! The room is always cold, even with the heater. All the furniture is old and inconvenient. We booked a triple-bed room, which is very spacious. But their business practices are unsettling: They charge a first night at an attractive 122 Francs, but then you discover that the second night is billed at more than DOUBLE! (230 Francs, in my case, and even 260+ for a colleague). Never seen such a weird way to trick customers. Staff: Some are very nice. Others are simply unfriendly and annoying. Could the hot breakfast include bacon? Location is perfect and central. Two minute train trip to my place of business. I will say I stayed here around 8 years ago, and found it better this time round. Value for money outstanding, especially because my booking was at relatively short notice. the room is big,comfortable.breakfast so nice. 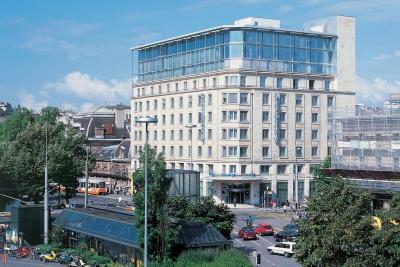 The location is near the central station and that's perfect for a short stay in Geneva. The room and the bathroom are big. The bed is good. Location is ideal. Just beside Geneva railway station. 1 Day tourist pass can let you board trams and buses to anywhere around the city. If you choose to walk, it's actually not too far away from the main shopping area and the Geneva water fountain. The breakfast waiters were truly not interested to service the customer..
the bed was not comfortable for me and the bathroom door i couldn't lock it while using. no daily water available.